The cost of your limousine package may vary depending on your transportation needs. View our affordable and personalized transfer service packages. Divine Limousine Services of Utah takes great pride in offering professional limousine service to the Salt Lake Valley and surrounding areas. Our competitive pricing and friendly staff make Divine Limousine one of the best in the state. The cost of your limousine package may vary depending on the requirement of your transportation needs. At Divine Limousine Utah we pride ourselves in being able to customize our services to accomodate your every detail. Give us a call and let us know what your travel needs are and Divine Limousine will put together a transportation package that will be both affordable and personalized just for you. 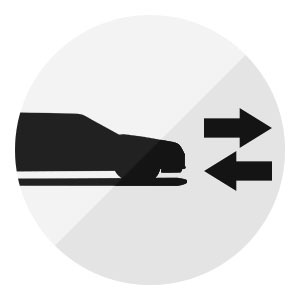 Basic Transfer Package is a single one-way transfer with pickup at one location and drop off at another. All of Divine Limousine amenities are included. *Additional fee may be added for transportations over two hours. Two-Way Transfer Service is pick up and drop off from one location to another location and return. All of Divine Limousine amenities are included. During the time of your stay, the limousine may or may not be available for service and may be at another location. Times for pick up at each location will need to be scheduled in advance and may not be flexible once scheduled. Block reservations allow you to be flexible with your limousine services. If you are planning on a night on the town, block rentals is the perfect solution. You are not locked into a dedicated pick up and drop off time and instead, you get your own personal limousine at your beck and call. Some restrictions apply and basic reservation plans are requested. Talk to your reservation specialist and they will be able to plan out your entire activity. Block reservations allow you to be flexible with your limousine service. If you are planning on a night on the town, block rentals is the perfect solution. You are not locked into a dedicated pick up and drop off time and instead, you get your own personal limousine at your beck and call. Some restrictions apply and basic reservation plans are requested. Talk to your reservation specialist and they will be able to plan out your activity. If you’re ready to setup a booking, or have any questions about our limousine service, give us a call! If you have any questions you can message us via Facebook Messenger.